Working closely with the library’s dedicated and passionate team thedesignconcept created an inviting space that encourages users to relax and linger. Bold graphics and bursts of colour, together with free wifi and easy access to all areas, culminate in a modern yet effortless user experience that is sure to have customers coming back for more. Glynis Norman, Stock and Support Service Manager, said: 'thedesignconcept impressed us with their plans which really brought the 1970s building into the 21st century. "I think it’s fair to say that we’ve moved away from the traditional concept of what a library should look like. 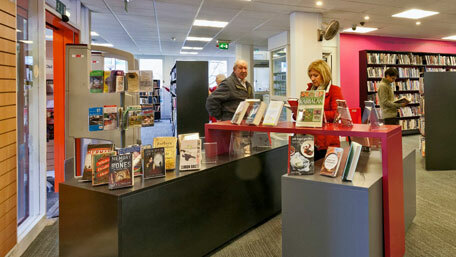 Bracknell Library has a fresh new look that the customers appreciate."